TrueDeck (TDP) - Events, Price, Market Cap, Supply, Exchanges and more! 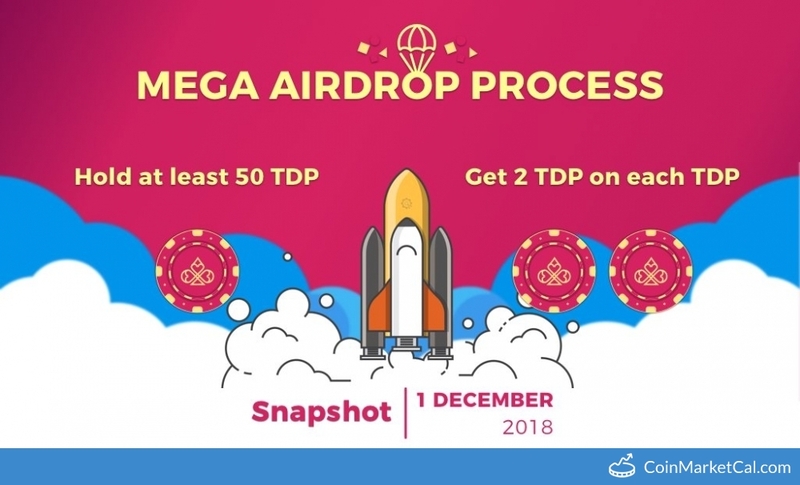 TrueDeck is the first EOS based TrustFree Blockchain Casino Platform. 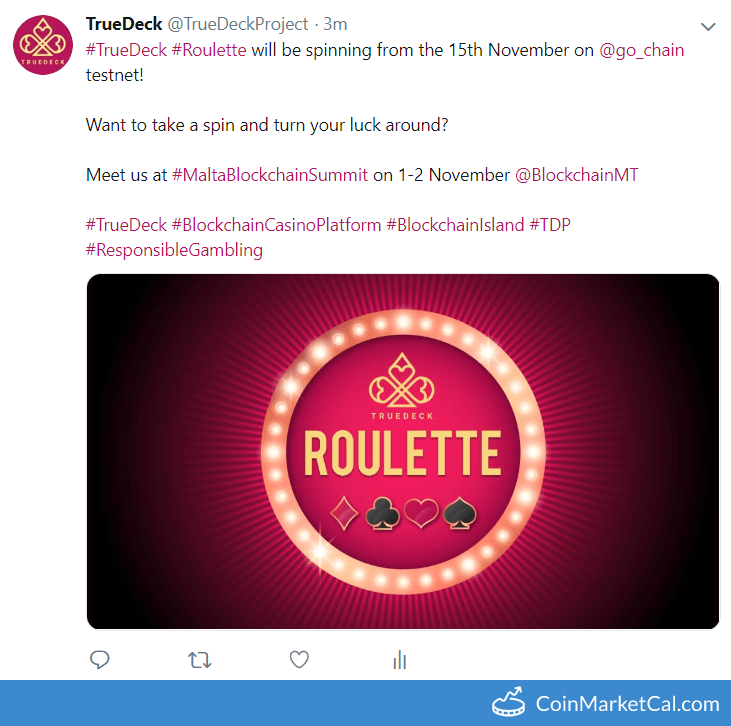 Unlike many other blockchain casino projects, TrueDeck will be an open protocol that will enable others to open their own casino on TrueDeck platform. 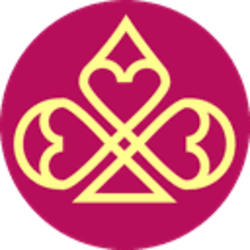 Thus TrueDeck will not be a single casino rather a network of casinos. 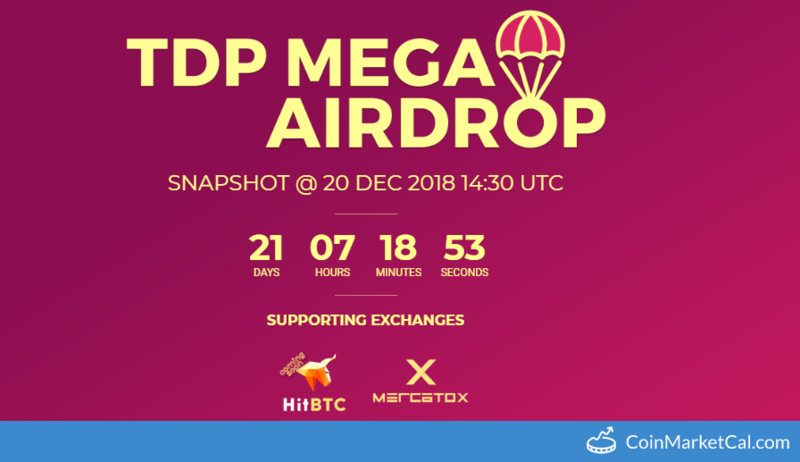 We are the first blockchain casino project to implement a Decentralized RNG mechanism. 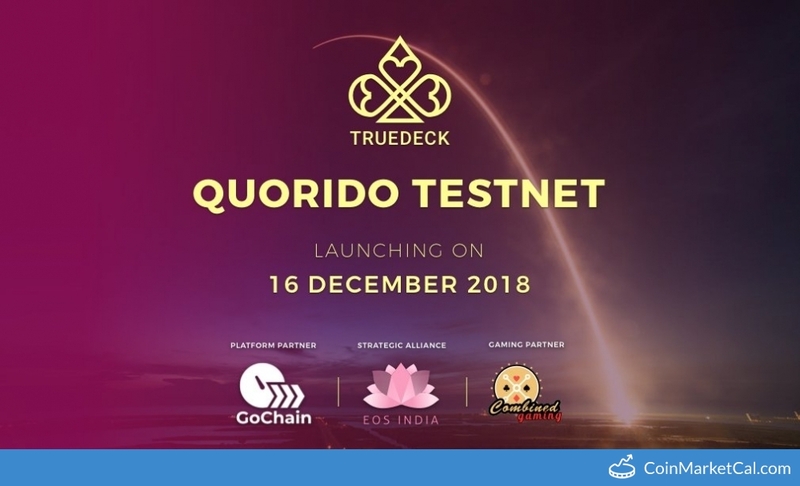 TrueDeck's First Minimum Viable Platform (code-named 'QUORIDO') testnet launches. 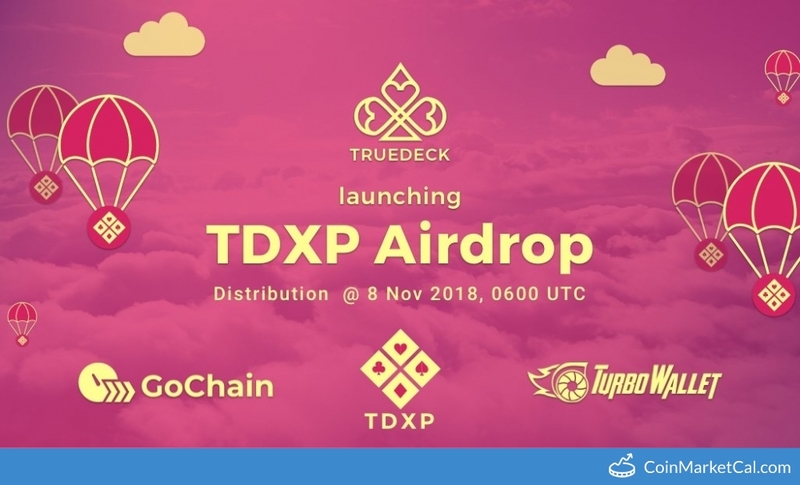 TrueDeck TDXP airdrop distribution will take place on 8th of November 2018, 06:00 UTC. 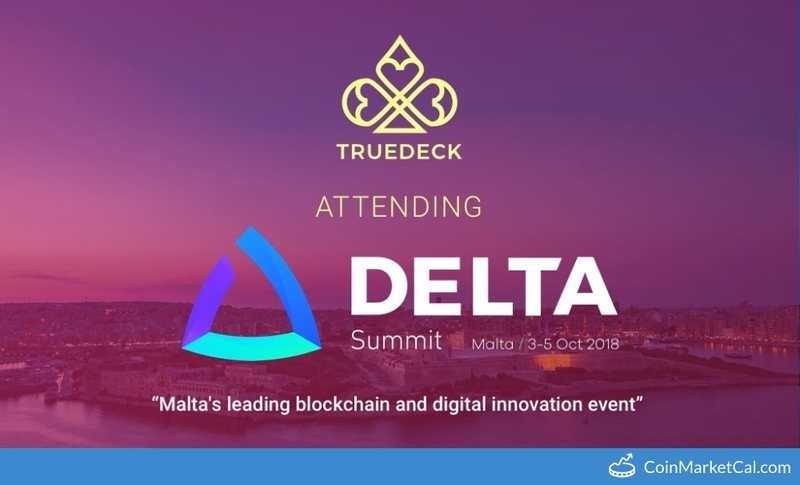 TrueDeck Team attends DELTA Summit, Malta.